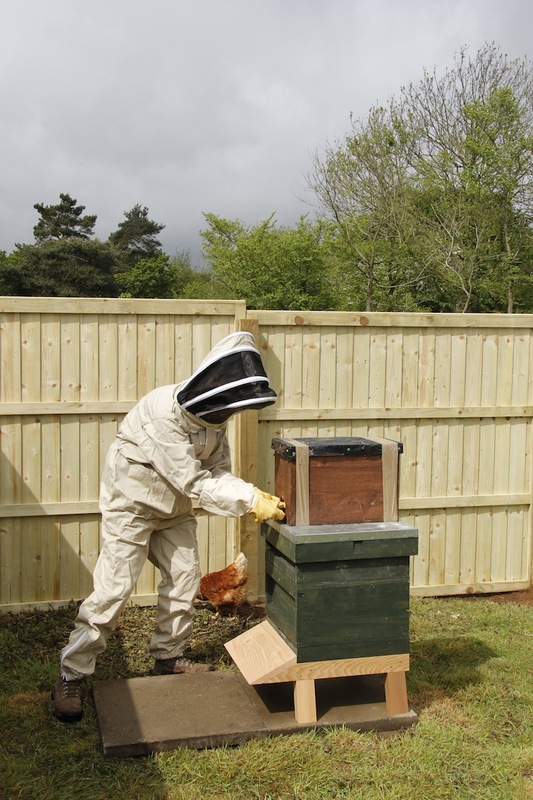 On Saturday we went to collect our bees. 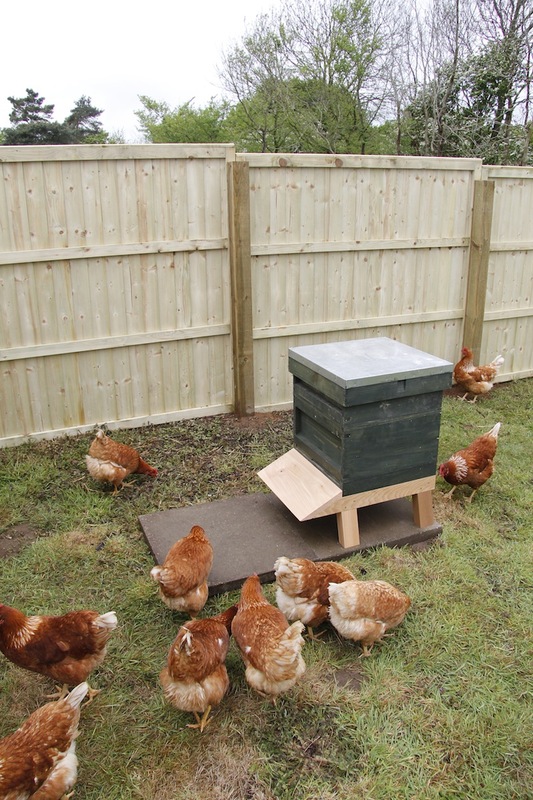 We got up very early to drive just over an hour away to Norfolk to buy a nucleus (Queen and six frames of bees and brood) from Ruth and John at Applebee Orchard and Apiary. 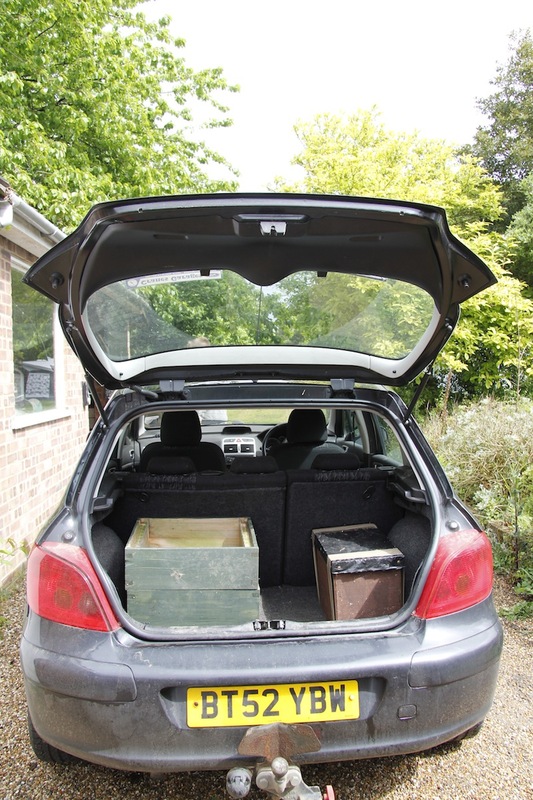 We arrived at about 8am, collected our precious cargo and set off home – going slightly slower round the corners on the way back. We stopped on the way home for breakfast at the wonderful Farmcafe at Marlesford. I hardly ever eat meat that we haven’t raised ourselves, but I was so tempted by the devilled kidneys that I had to have them. James had eggs royale which was lovely as well. We both had orange juice and coffee. I had too much coffee and made mad plans for the rest of the morning. When we got back we collected all the stuff we would need and went to site the nucleus. 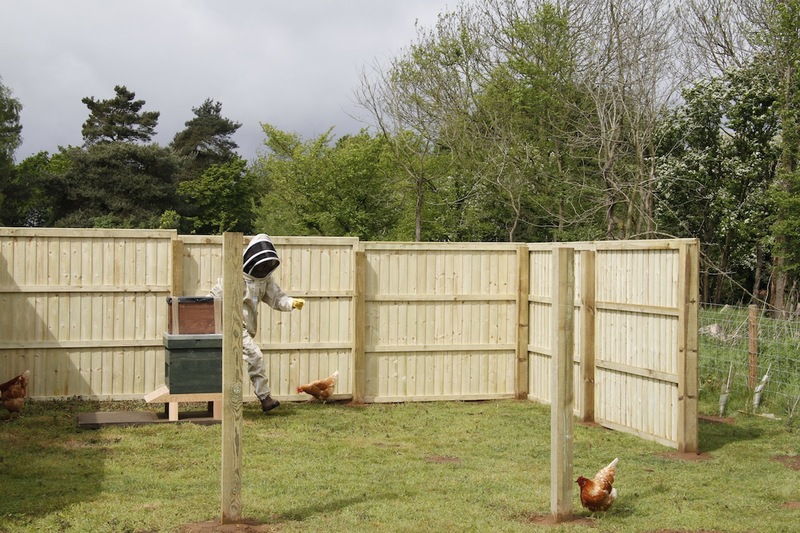 James had spent the some of the previous week erecting some fencing for our apiary – it looks pretty good. 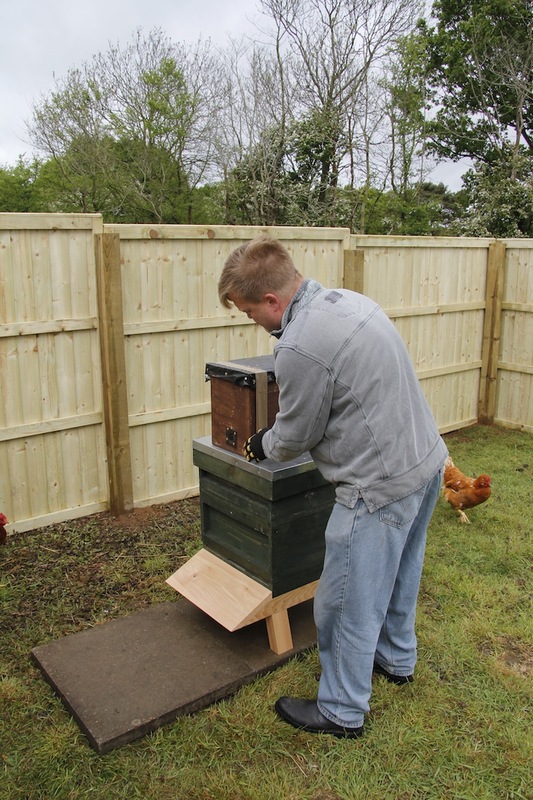 We carried the precious cargo to the apiary and then James positioned the hive and nucleus. And I got my bee suit on and opened the door of the nucleus. 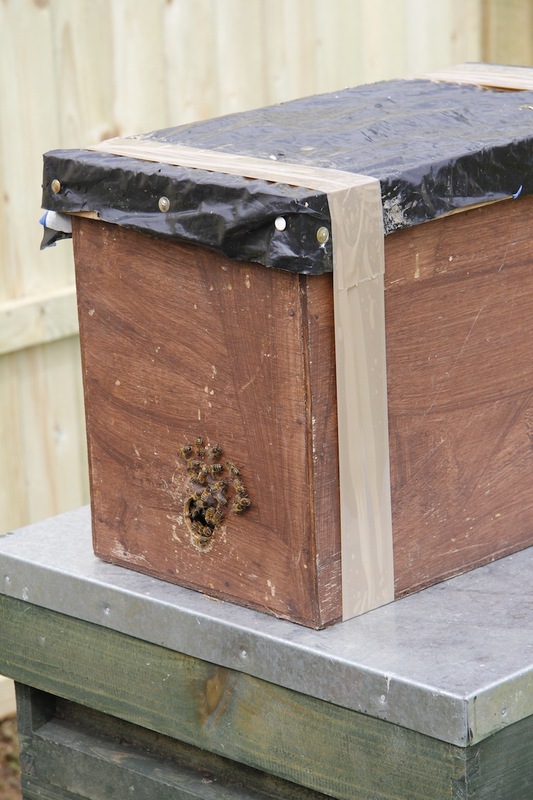 And out came the bees to explore their new home. N.B. 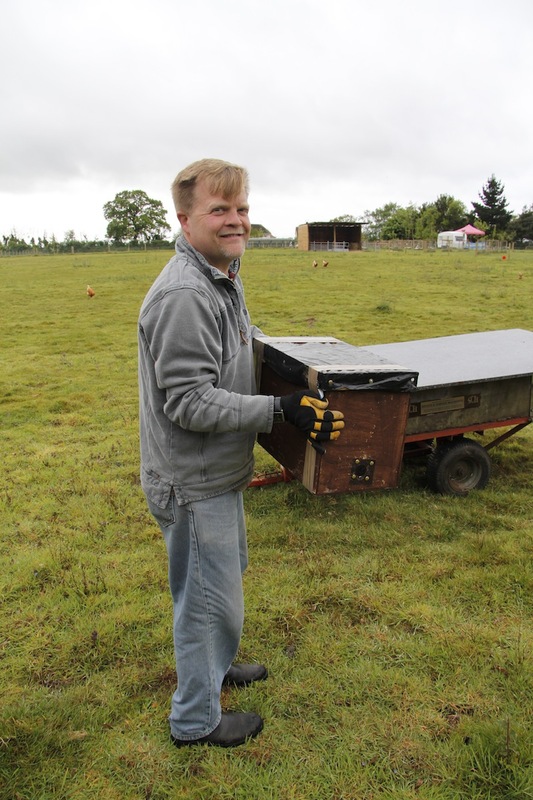 James finished putting up the final panels of the apiary and I put up some hurdles to block the door so the alpacas didn’t get too inquisitive! Great job, guys! 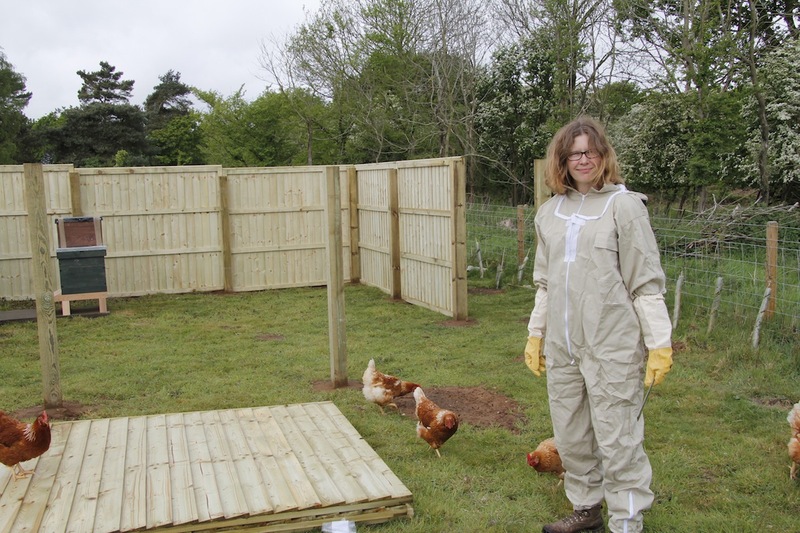 Beautiful fence and lovely bee suit, Claire! Hope they settle in nicely. Love the adventure you are on. Thanks for the posting.